We are among the reputed firms involved in offering a qualitative range of Online SO2 Analyzer. 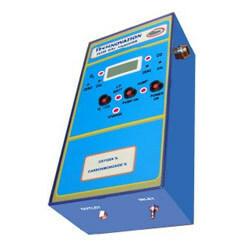 These analyzers are manufactured in compliance with industrial standards of quality using the best raw materials. These analyzers are available to clients at extremely reasonable market prices within the stipulated frame of time. 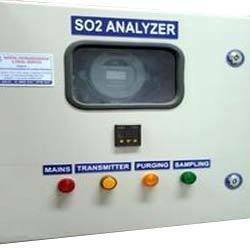 So2 gas analyzers for Stack Monitoring & Controls the toxic/ Combustable Gases. The Casella Monitor ML 9850 Sulphur Dioxide (SO2) Analyser is an advanced design analyser which uses U.V. fluorescence technology to measure concentrations of SO2 accurately and reliably. The combination of multi gas emission analysis, differential pressure and temperature measurement reduces service costs and ensure the safe operation of appliances. Mobile application, 15 programmed combustibles. Data measurement print out. Supplied with magnetic protective cover.